Welcome to our Overwatch Guide to the Best Heroes rankings based on map. 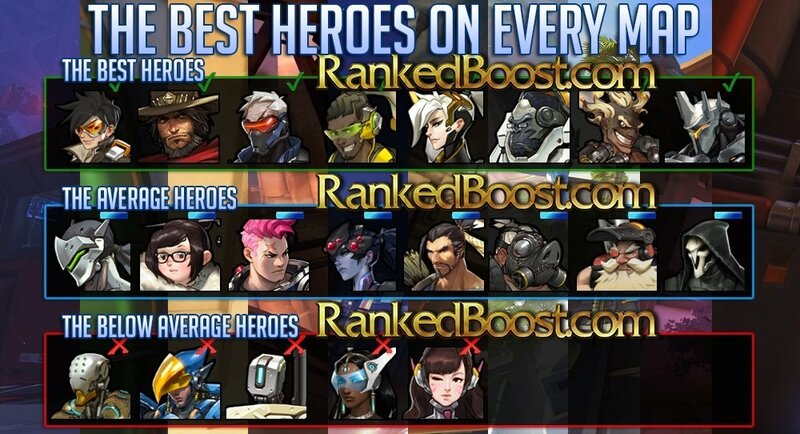 Each hero has its strengths and weaknesses, those with less weaknesses tend to be overall better for every Overwatch map. Below we put together some easy to follow quick Overwatch guides for each map and the best heroes for that specific map. There are two characters that are left out of many of these Overwatch Guide, since they are pretty much good no matter what. They would take up space being placed in every single one of these Overwatch guides. These 2 supports are easily always a good pick in terms of support. Early in our Overwatch Guide we talked about heroes who have very little to no weaknesses. These characters rank among the highest in our Overwatch tier list and in this guide, mainly due to there flexibility to be used on any map in any game-type. View our complete Overwatch Tier List!